Measure your space first and read the instructions online, follow the product description and know the shipping charges before buying home furniture online, say experts. * If you are looking to buy a bed or sofa set, and like a particular product online, first measure the space where you are planning to set it up. Furniture comes in different sizes and before deciding to buy one, you must carefully read its size specifications. Once the size has been considered, read the terms and conditions carefully to check whether the seller or the service provider will send someone across to set it up for you or simply leave it on you to take care of the installation, reports The Statesman. * Once you have finalised the product that you are willing to buy, make sure you scroll down to read the description carefully. Take a note of everything from the material to colour and the precautionary measures. 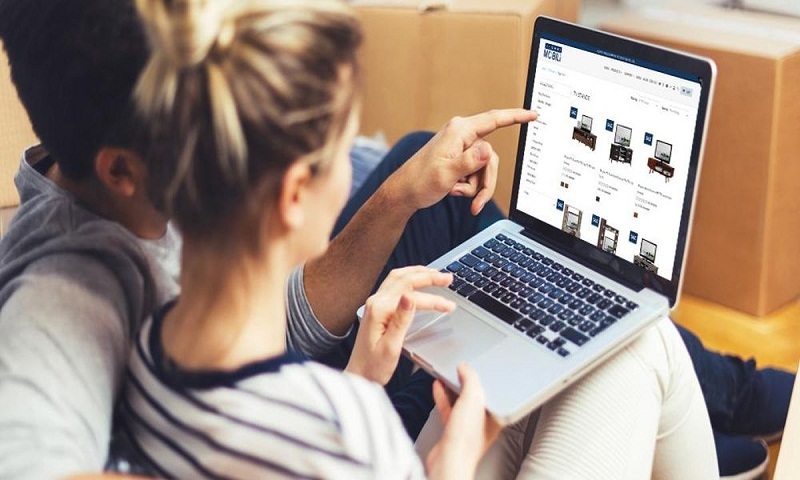 * Transporting a bulky furniture from the seller’s warehouse to your doorstep can sometimes be an expensive scheme and most online merchants tend to transmit this expense to the buyer. It is, therefore, crucial to assess the shipping and handling charges to evaluate the cumulative cost so that you don’t get a surprise after receiving the invoice. * The online retailer you are shopping from might be a trustworthy website but it is equally important to double check the details about the merchant selling the product. This will give a fair idea about the quality of products and packaging and highlight their previous order issues or shipping complaints, in case any exists. Avoid the seller if its ratings are low. * Now that you have checked each and every aspect of the product, chances are that you may still not feel satisfied with the quality or the size once it reaches you. In that case, you might need to return the product. Unfortunately, there are a few online websites that refuse to exchange the products once they are sold. To avoid such a situation, check the return policy at prior to get a fair understanding of the terms of exchange such as time period allowed for exchange, return shipping fee and so on. * Before you hop on to online stores for furniture, take a minute to pen down what exactly are you expecting your furniture to serve. Start from functionality first, move to design and aesthetic elements and then finally the budget. * When you start browsing online furniture store, it might make sense to first drill into functionality and aesthetics before going down to budget. It is often possible that you may go wrong with the budget expectation, and you might be okay with a raised budget provided the furniture fits your description. Also, filtering furniture with budget right at the get go may be a bad idea. * Add them to your wishlist and create a list of options and verify for their fit in your space. This is the time where you may start listing down dimensions, functional elements, maintenance etc in order to ensure you are picking up what fits in nicely to your space. * Be vary of buying something that will fit into your existing decor theme. If you have your space decorated in a vintage fashion, a contemporary piece may jut out like a thorn. Use consulting help if needed before you make the purchase.